In the icy mountain passes of Japan, a titanic clash rang out, as if a titanic Hephaestus had crashed the hammer of Thor into an anvil of the Dwarves. The sound reverberated through the Shard. Battle lines met, swords met shields, axes met flesh, and galdr incantations brought ruin to all. Hoplites flanked the edges, shooting into the melee at any foe they could hit, while stone met stone as basaltic komainu statues sought to tear apart the last remaining sandstone criosphinx. 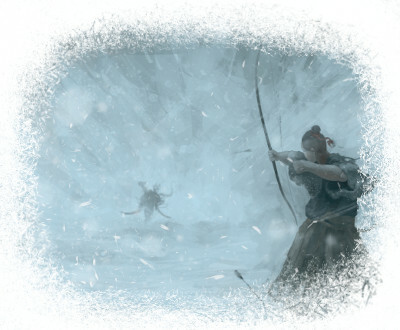 The corpses of the Egyptian forces littered the icy ground where they had fallen to an ambush of samurai bushi. Those same samurai had fallen as a rain of Greek arrows brought death to them from above. Beowulf, Champion of the Geats watched sadly alongside his two remaining Geatish Men-at-Arms. A cheer arose in the distance as a champion emerged from the Greek lines: Diomedes the Valorous – he who had wounded Ares himself. Diomedes strode confidently towards Beowulf with a contingent of Myrmidon at his back. The fighting parted for them as Diomedes raised his sword in salute. Beowulf raised his own sword – Nægling, old and grey – in return salute. His men looked tired and worn, but grinned excitedly as they contemplated their impending visit to the halls of Valhalla. A shadow darkened the land, and Beowulf looked up. It had come; the Dragon of Earnanæss, his ancient foe. Doomed to die at each other’s hands, but not this battle. Today, the dragon was a sign. The Greeks would die in fire. The battle was not nearly over. Tempest: Shards of the Gods is played against a backdrop of mythological apocalypse and warfare. The universe (and time itself) has shattered into thousands of realms, which the ancient gods of myth seek to rule and piece back together. These realms are from many different time periods, which is why you might find Hoplites fighting alongside Myrmidons despite the distance and time that separated them in reality. Each culture plays Tempest differently, though the way that each player wins remains the same: score 5 Victory Points or destroy your opponent. The Egyptians are the builders. While they can win through might of arms (especially by protecting their powerful Troops through use of the Ranged ability), they are best at picking a Shard and building up their forces to protect themselves against attackers, while completing their Labours. Many of their cards use the Arise ability that allows them to return from the Discard pile, and many of the Labours on cards from the Anubis Deity are to do with rising from the grave. If you are playing the Egyptian culture, you will find yourself building a lot of Structures and fortifying a single Shard to resist anything your opponent can throw at you. You might also play a number of “Trap” Structures that turn your opponent’s momentum against them. Other cards in the Egyptian Research pile allow them to build forces directly to their fortified Shard, enabling them to send in reinforcements on the turn that they are needed. The Greeks are the storytellers. Their Troops are not powerful but they have the cheapest Tales in the game. Many of their Tales are based on playing Demigod cards and sending these heroes on epic quests. It can take some time before the Greeks build momentum but once they have it they can snowball to victory. Many of Athena’s cards use the Charge ability to give them a single, powerful, one-time use ability that can be costly to maintain over multiple turns. Therefore they can build up a powerful defense or attack, but cannot sustain it over multiple turns. 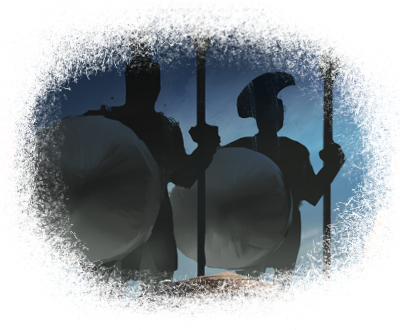 If you are playing the Greek culture, you will find yourself cycling through your Research quickly to find your Demigods, but relying on your Troops and Structures to hold off your opponent’s advance. Every Tale in the Greek Research pile has a cost of 0, making them very easy to collect and very easy to play. This is because many of the Demigods in the Greek culture are expensive – you will want to save your aether to afford to field them, as most of the Tales rely on Demigods accomplishing some important task. The Japanese are the tacticians. They have some of the most powerful Events in the game, and utilise tricky tactics to swing the course of battle in their direction. Their Tales usually require combining Events in specific ways, or drawing multiple cards over the course of a turn to cycle quickly through their options. Many of their cards use the Shapeshift ability to let them exchange one Troop in play with another in their hand, free of cost. If you are playing the Japanese culture, you will find yourself Researching a lot of Events, and holding many in reserve. At just the right moment, you might rain death down with a Rain of Arrows, or lure an opponent’s Troop away in a crucial moment with the foxfire, Kitsunebi. You will empty their hand, play tricks on them, and then ambush them with Troops when they least expect it. A skilled Japanese culture player with cards in hand and aether to spend is a dangerous opponent, allowing them to even bluff their opponent if the battle is turning against them. The Norse are the fighters. They have powerful (or just numerous) Troops that are willing to rush forward into certain death to achieve glory and feast in the halls of Valhalla. Many of their Labours require their Troops to die, and many of their cards use the Unmake ability to remove those Troops completely from play and send them to the Unmade pile – or do the same to their opponent’s. If you are playing the Norse culture, you will find yourself playing a lot with your Research Row, Research pile, and Unmade pile. Though you may be Researching a lot of Troops, most of them will end up back in your Unmade pile, feasting in Valhalla until they are needed again. You might also try and accomplish the Ragnarok Tale, literally ending the game in a final decisive battle. 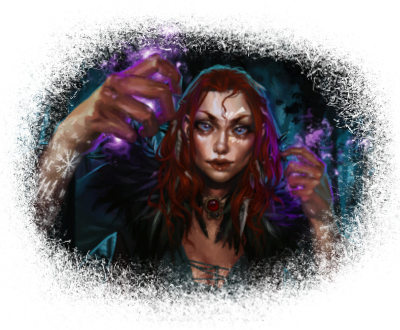 Or you might seek instead to bury your opponent in fighters, using smaller Troops in Combined Attacks to gang up on powerful foes, or blasting their numerous forces with the fiery breath of a dragon, or crackling incantations of Seiðr magic. 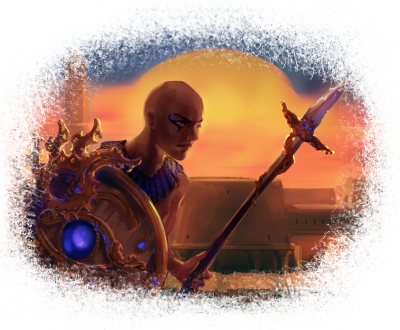 Each of the cultures in Tempest is designed to let players play to their own strengths, and how they like to achieve victory. Maybe you prefer the brute force of the Norse, the strength of Egyptian Structures or the tactical prowess of the Japanese. Perhaps you prefer the burst-style play of Athena, the endless waves of Anubis’ dead minions or Heimdallr’s ability to unmake reality itself. Whichever you choose, you will find something in each faction to enjoy. Only 13 weeks until we launch our Kickstarter, and we are working behind the scenes to produce a series of “How to Play” videos for you all. In the meantime, you can check us out on Facebook, Instagram and Twitter for new details! Let us know in the comments what you would like to see next. Illustrations above: “Azure Defender” by India-Lee Crews, “Achilles’ Wrath” by Warrick Wong, “Kyudojin” by Cody Shay, and “Seidkona” by Dee McLoughlin. ← What’s in a Shard?